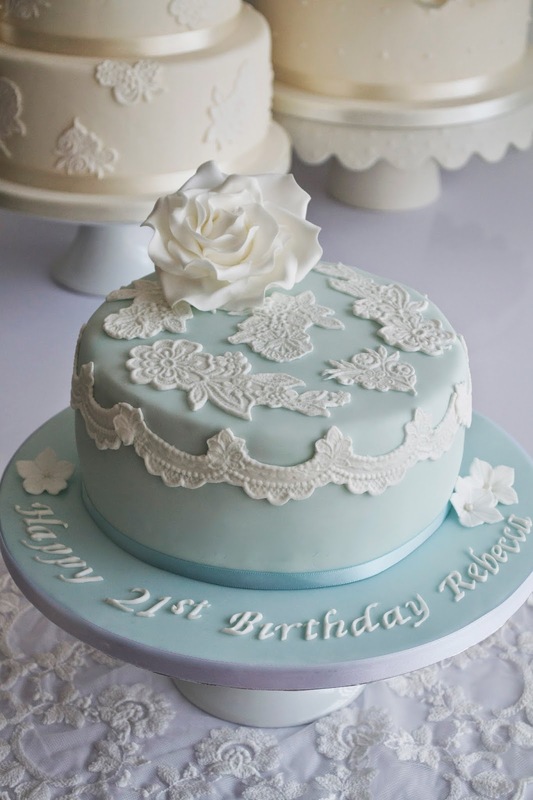 21st Birthday Cake- Pale blue with lace detail, a large white rose and white petunia flowers. Chocolate sponge layered with chocolate buttercream and rich dark chocolate ganache. Happy Birthday Rebecca!